What is it about this season that makes us fall in love all over again? Is it the cozy feelings you get when snuggling up to your loved one by the fireside? Or perhaps it's the simple act of holding hands as you and Prince strolling down a woodsy bend with the foliage quietly keeping you two company? The leaves may fall, and the colors may fade, but those warm and fuzzy feelings in your heart will remain. 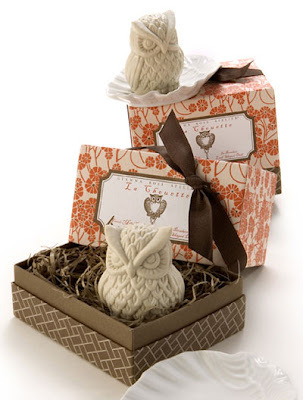 And with leaves, acorns, wood and owls in fragrant soap form, you can now take fall's beauty home with you! 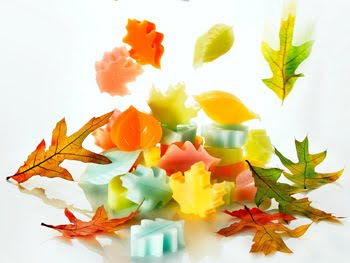 If you prefer to capture the brilliant colors of fall look no further than Uptown Soap, which provides an array of hues to remake foliage in your bathroom. Something more subdued? 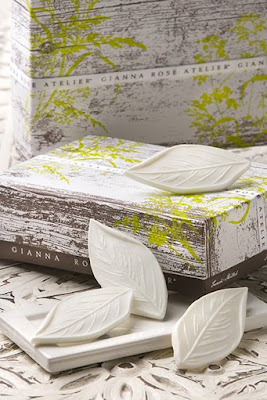 Gianna Rose carries a line of Thanksgiving inspired soaps that are sure to please! 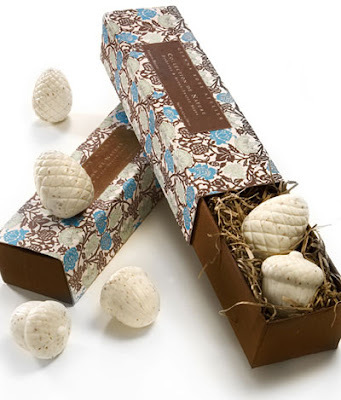 So spread the warmth of the season with a little gift that will freshen up the spirit! 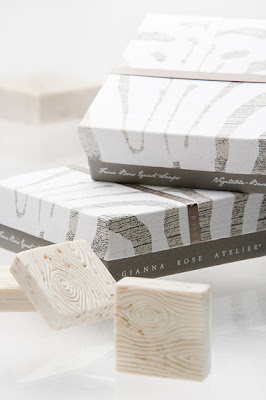 Images via O Magazine and Gianna Rose.